Tony McCoy earned 20 consecutive Champion Jockey titles, the Sports Personality of the Year award and a knighthood during a long and glittering career. He is the best rider the National Hunt scene has ever witnessed and he claimed more than 4,000 winners between his 1995 debut and his 2015 retirement. McCoy lit up the Cheltenham Festival as a young jockey by claiming the Champion Hurdle and the Gold Cup within the same meeting. He put in a superb performance aboard Make a Stand to win the former, beating Theatreworld by five lengths with a surge up the famous hill, but it was in the latter that he really joined the big time. Mr Mulligan was unheralded and unfancied, and had fallen in the King George VI Chase on his last start, giving McCoy a difficult task. But he rose to the challenge with aplomb, sending him to the front midway through the race and continuing to set the pace. One Man and Barton Bank put up a spirited challenge, but McCoy guided his mount over the final two hurdles to perfection and wound up winning by a comfortable nine lengths. McCoy would not win the Gold Cup again for 15 years, and his ride on Synchronised was also immaculate, but his first victory was more special. McCoy’s exploits in the Feast of St Raymond Novices’ Chase at Southwell will go down in history in one of the most bizarre races ever seen. He was on the well-backed favourite, Family Business, who went off at 8/11 and was widely tipped to coast to victory. But disaster struck at the 10th fence, as he fell and McCoy was unseated. However, a similar fate started to hit all the other runners and McCoy heard the developments over the speaker. He raced to catch up with Family Business, who had lolloped forward a couple of furlongs, remounted and rode him to victory, the only horse to finish the race, sparking jubilation among punters up and down the country. McCoy formed a devastating partnership with hard as nails gelding Brave Inca, winning a range of top drawer races, including the Irish Champion Hurdle and the Punchestown Champion Hurdle. But they saved their best for Cheltenham in 2006, when Brave Inca lived up to his name by holding off a spirited challenge from Macs Joy to win the Champion Hurdle. It was a pulsating race, and once again the punters – who had heavily backed Brave Inca – toasted McCoy for an immense performance. They say that winning a race is 90% down to the horse and the jockey only accounts for the remaining tenth, but McCoy made a mockery of that cliché in the 2009 William Hill Festival Trophy. Wichita Lineman was the favourite and was doing well to keep up with frontrunner The Sawyer by the ninth pitch, but made a mess of the jump. He faltered again at the 10th and found himself well off the pace. But McCoy refused to be beaten and used every inch of his nous to drag Wichita Lineman back into contention. Still, when Maljimar jumped over the last hurdle it looked like a comfortable win for Nick Williams and Daryl Jacob, and everyone that backed Wichita Lineman would have prepared to rip up their tickets. McCoy, however, never stopped going until the death and he worked Wichita Lineman hard. It led to a ferocious run in and he eventually won it by a neck, causing several members of the crowd to erupt with glee. 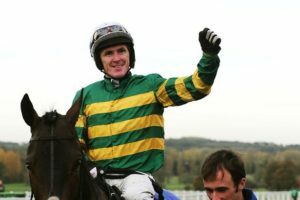 One blot on McCoy’s hugely impressive CV was the Grand National, but he finally overcame that hoodoo in 2010 on Don’t Push It. Had he retired without a win in the National it might forever have tarnished his legacy. 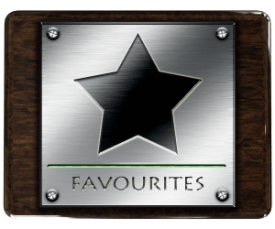 It is the biggest event in the annual horse racing calendar and generates a huge amount of markets on websites like https://www.sportingindex.com/, so winning it is typically the crowning glory of any career. McCoy might have thought it would never happen after he was cruising to victory on Clan Royal in 2005, only to be taken out of the race by a loose runner. But then he had his best ever chance in 2010 as he hoisted himself onto Don’t Push It, owned by JP McManus and trained by Jonjo O’Neill, the 10/1 favourite for the big race. McCoy put in another magnificent performance and guided him to a five-length victory and, as a result, he became the only jockey to ever be named Sports Personality of the Year.